Nevada down payment assistance programs help moderate and low income residents buy homes. These programs are administered by public agencies operating with state and federal funds which are often run in conjunction with private lenders. There are diverse categories of these programs which primarily aims at assisting different categories of people such as single mothers and teachers amongst others who might be unable to raise down payments to buy homes. People wishing to get benefit from these programs are just required to meet the necessary requirements. In Nevada, qualified applicant of down payment assistant programs can receive up to ten thousand dollars toward down payment and closing cost of the homes they intend to buy. The applicants are required to have incomes which are below eighty percent of the area median income. After applying and being approved to get the down payment assistants, beneficiaries are not required to pay on monthly basis like in ordinary mortgages. Instead, applicants repay the amounts given if; they sell their homes, they transfer ownership of their homes, they move out of the particular homes and after paying off or refinancing their first mortgages. 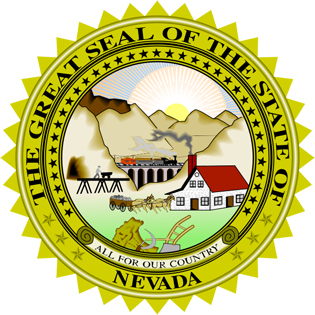 Applicants who might be earning more than the set minimum amount can utilize other channels such as the Nevada Housing Finance Corporation so as to get down payment assistance. One of the most important aspects while applying for these Nevada down payment assistance programs is filling the applications correctly. All the details required should be filed truthfully and in a clear manner. This is important because the authorities that determines the eligibility of the applicants can deny the assistance if they detect some untrue information. For this reason, it is advisable to ask for assistance from the people who provide these down payment assistance programs while filling the applications so as not to omit some important details or fill the applications in the wrong way. Therefore, moderate and low income people wishing to buy homes in Nevada can benefit from the various down payment assistance programs as long as they meet the minimum requirements and they apply in the right way. This entry was posted in Nevada and tagged down payment assistance, grants, housing authority, nevada, programs. Bookmark the permalink.